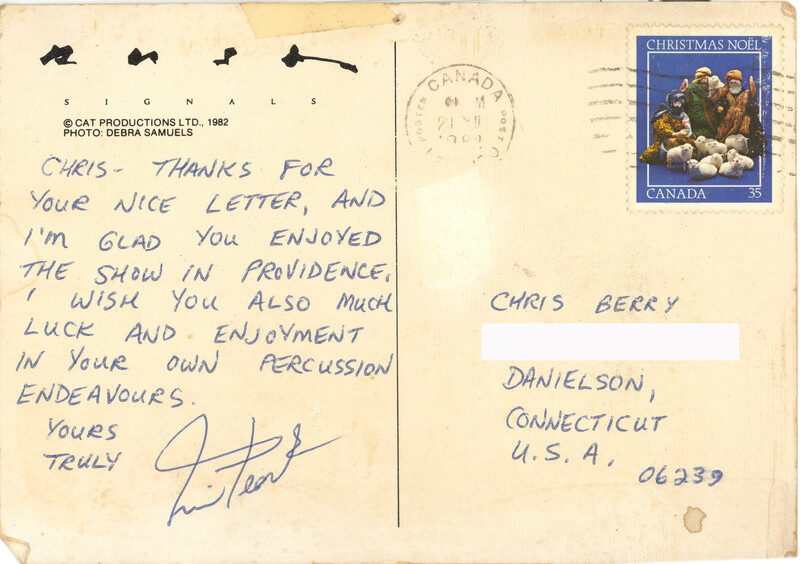 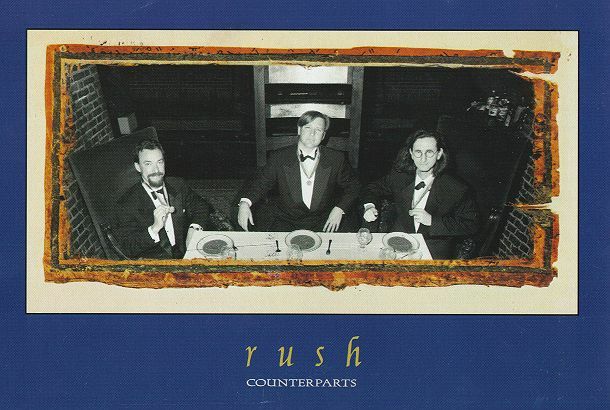 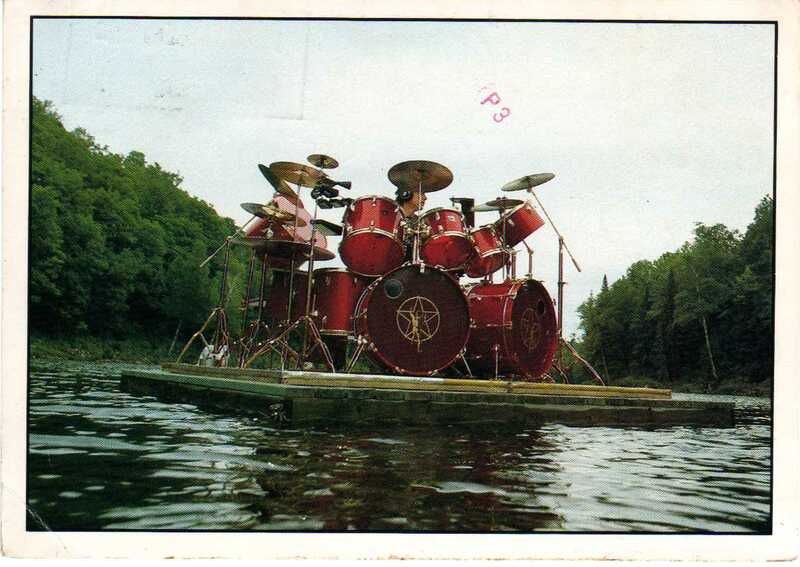 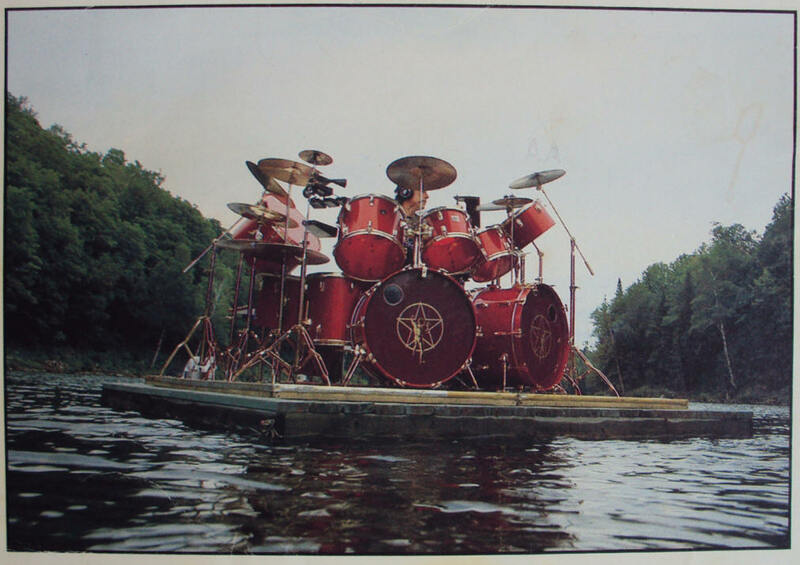 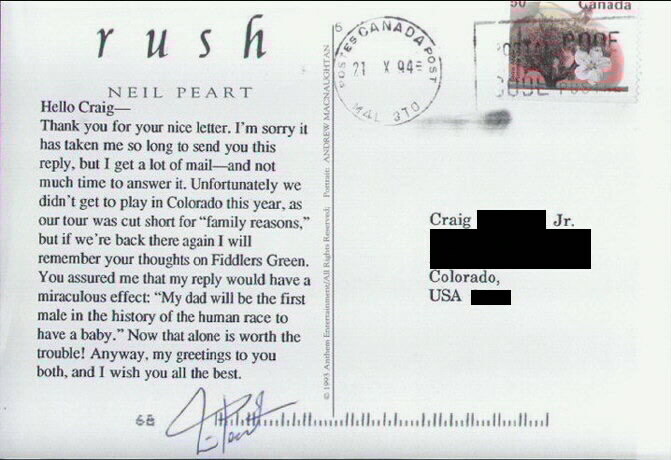 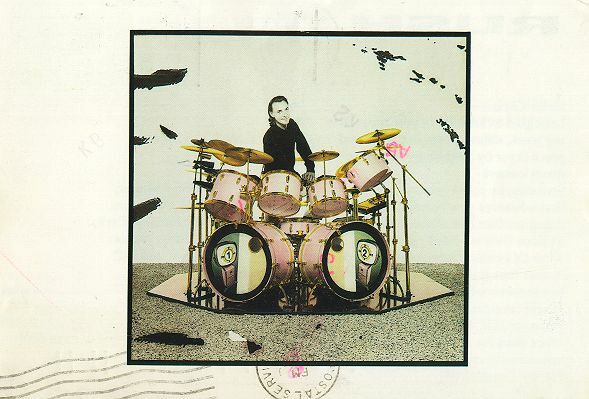 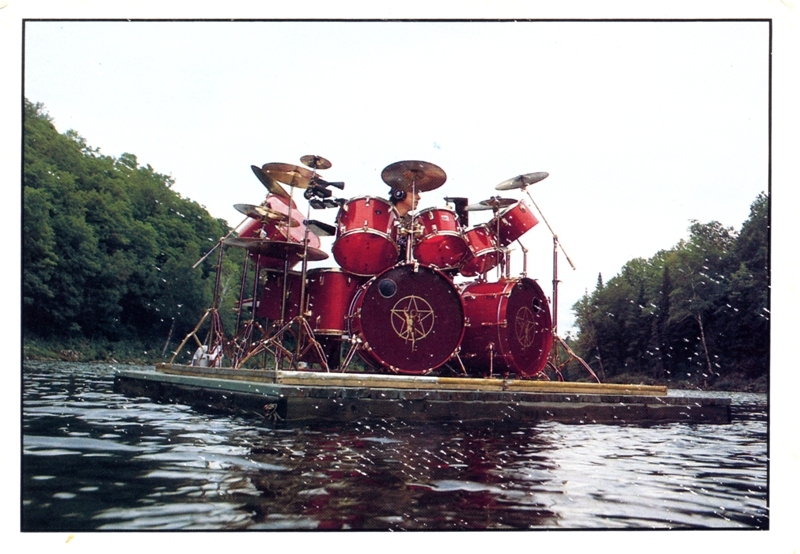 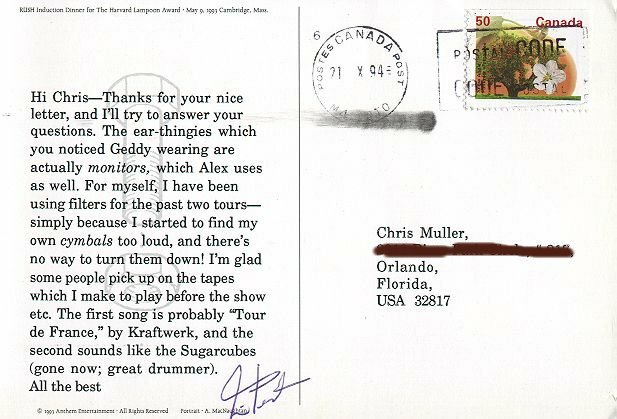 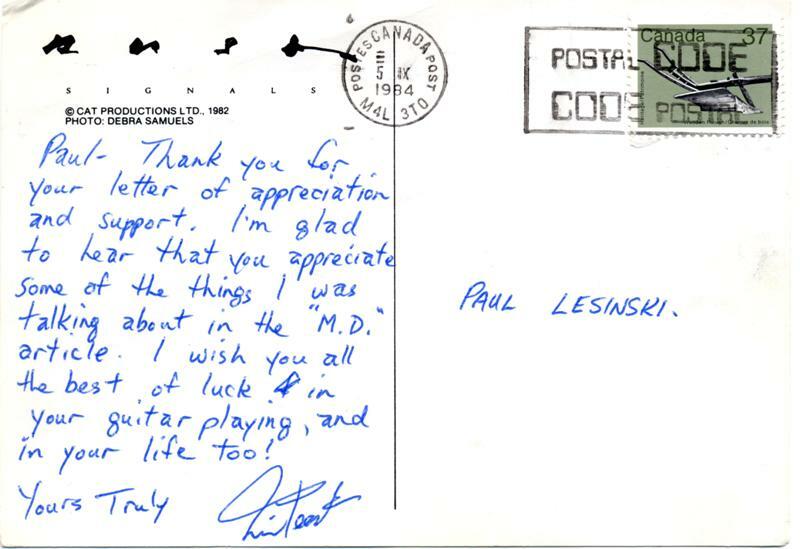 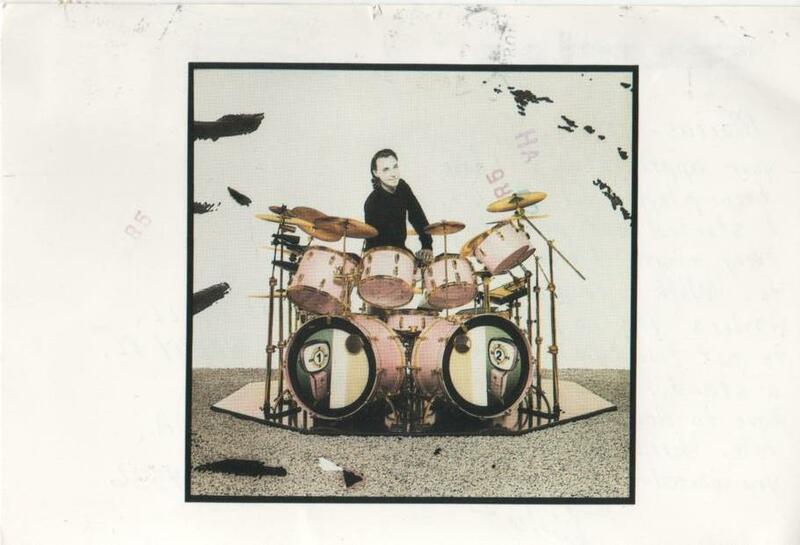 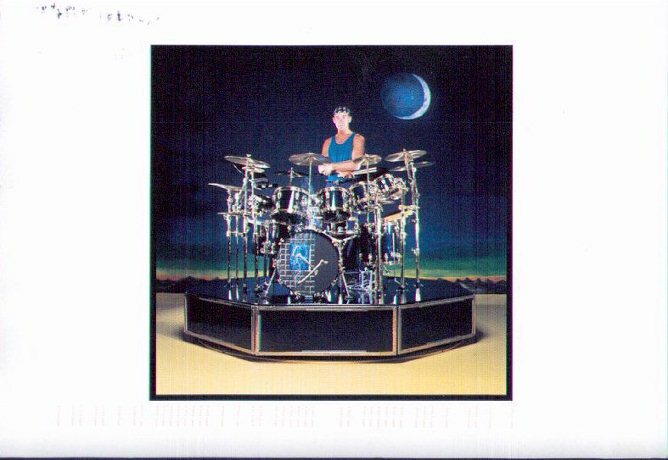 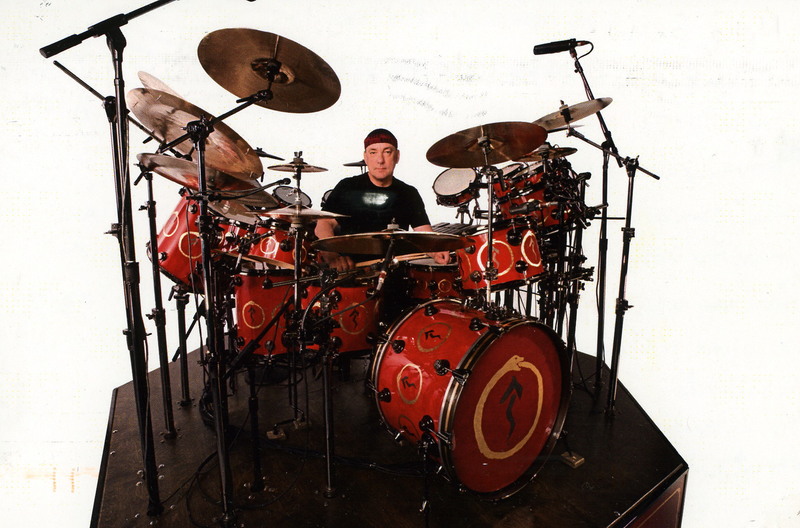 As many people know, Neil Peart used to answer letters sent to him through Modern Drummer. 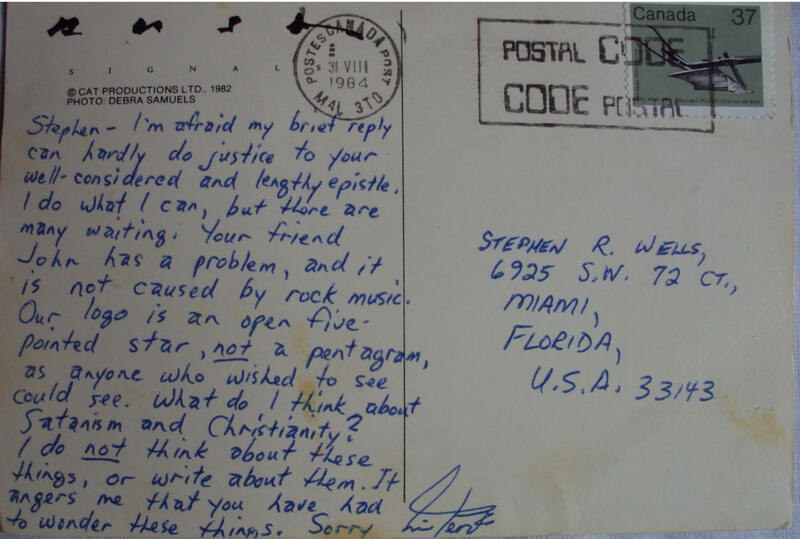 He wrote individual responses, handwritten at first and then typed and printed from a computer. 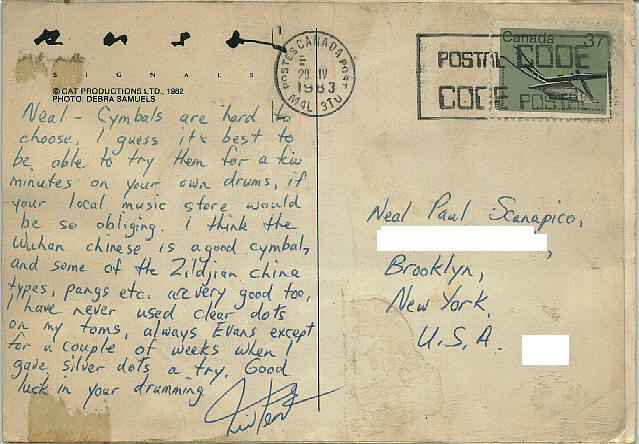 He continued this practice until the secret got out on the Internet about how to get a personal postcard from Neil. I've seen a few of these postcards and have always found them interesting. 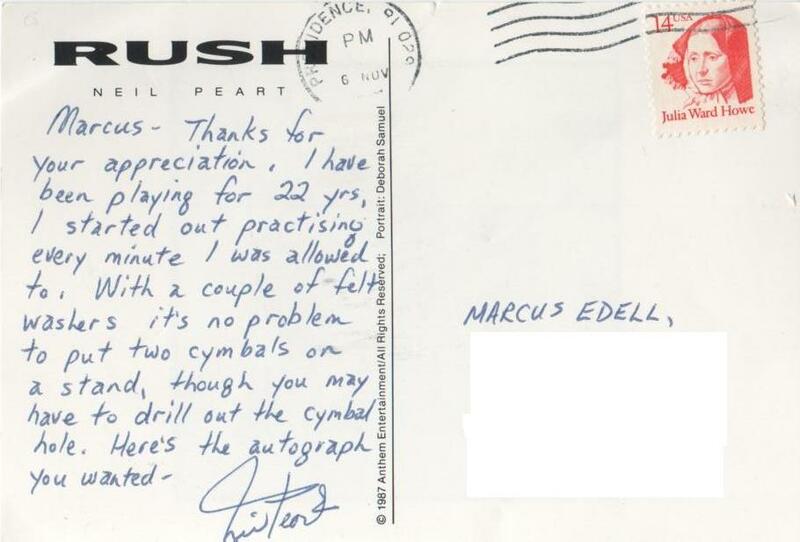 So, I thought including a handful here would be of interest to other Peart fans. 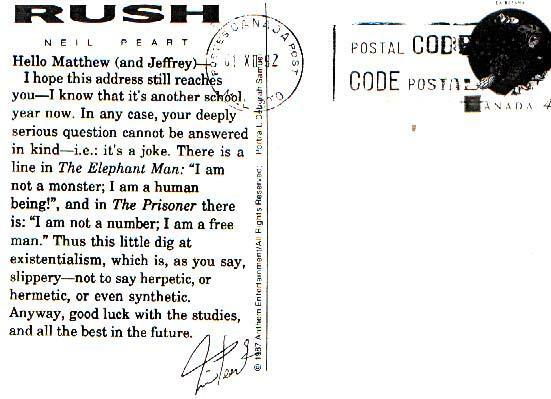 If you have a postcard you'd like to share, please send me an e-mail. 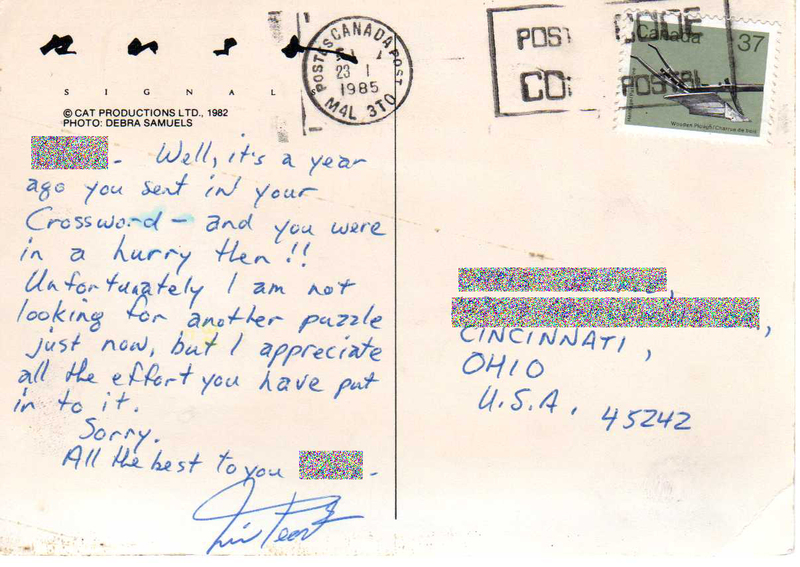 This is the postcard I returned home to one day. 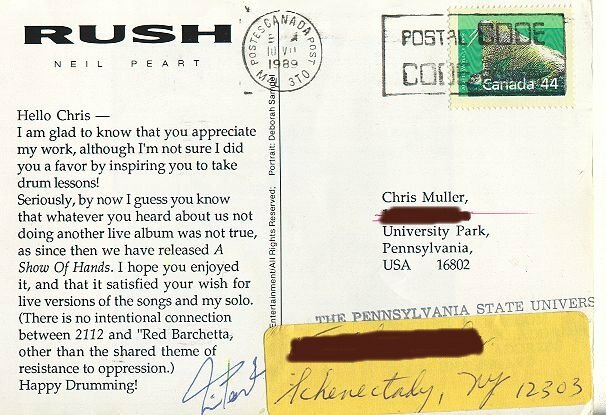 Was a real awesome moment in time for a die-hard RUSH fan!" 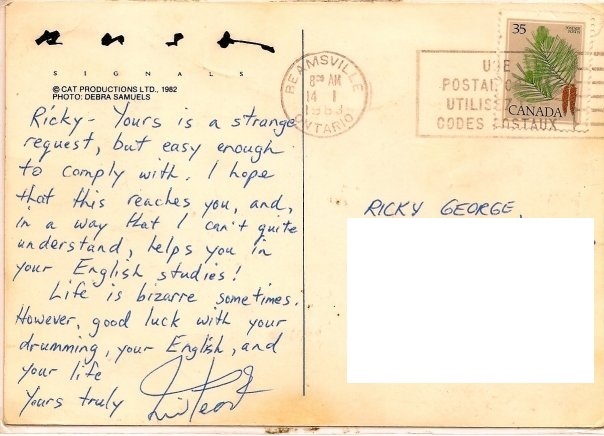 This postcard was sold on eBay for $246.50 on August 10. 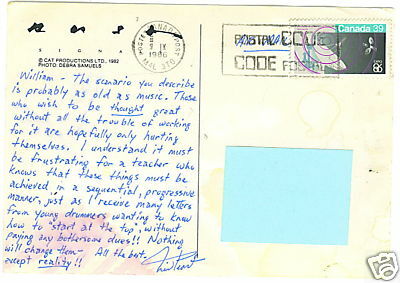 Read the full story about this postcard here.